Embracing Chinese New Year vibes with propitious and grace at Oriental Sanctuary in Spring @ Main Place Mall. 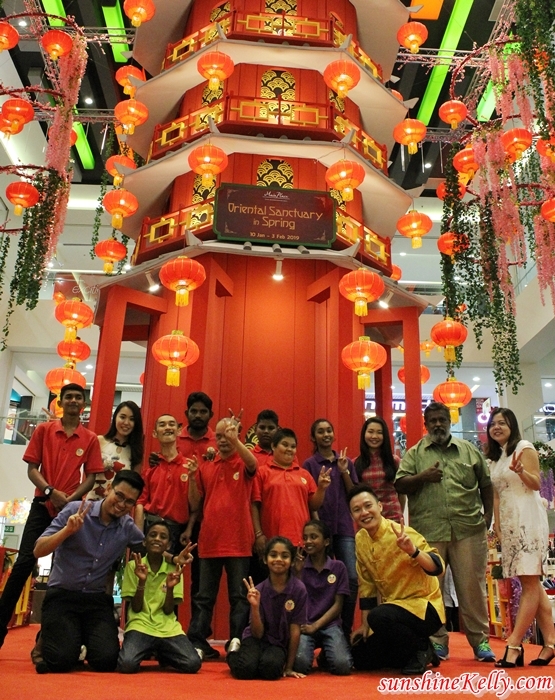 It's one of a kind pagoda in mall that embodies luck and great fortune. With the cozy bamboos tunnel, pagoda décors inspired by traditional temple in eastern Asia. Not to forget the oriental wheel of fortune and decorative bridge, it all creates perfect photo opportunities for all. 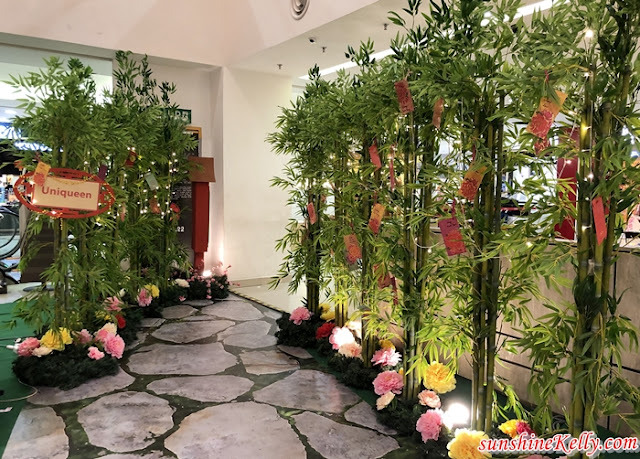 So do dropby before it is too late, the decor is until 3 February 2019. To extend the experience of joy and entertainment, Main Place Mall has an exclusive line-up for engrossing activities await shoppers such as Chinese Diabolo, Shaolin Wushu Performance, Dwi Emas Choir, Thousand Hands Performance, Chinese Mask Changing, Children Magic Show, Acrobatic Lion Dance and many more. 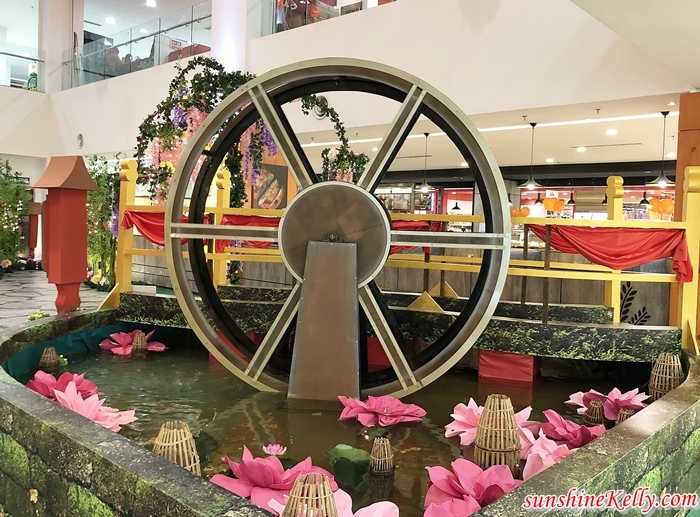 In welcoming Chinese New Year 2019, Main Place Mall has organized several activities for mall-goers. An array of hands-on workshops such as Clay Doll Making, Paper Cutting Workshop, Chinese Drum Workshop and Stone Art Workshop, are specially prepared for children under 12 who has registered as Main Place Junior. These activities are great opportunities for families with children to enjoy the celebration while learning about traditional Chinese culture. To spice up your visits even more, there will also be contests where participants get to boost their creativity and lucky winners are to be bagging prizes home. Exciting contests are Little Ms Qipao & Mr Samfu Contest, Chinese Chess Competition and Count the Hanging Lanterns social media contest. Chinese New Year is not complete without sharing the happiness to the society. 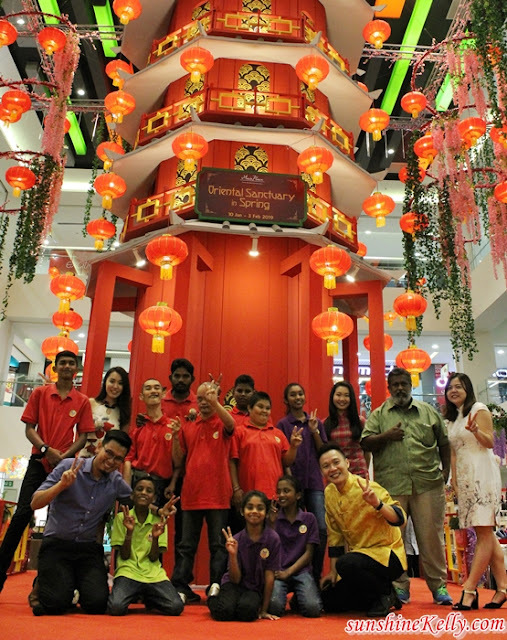 This year, Main Place Mall runs “Spread Your Love” project to encourage public donation to Kirtarsh Handicapped and Disabled Children’s Home, located in Bukit Beruntung, Rawang. It is a non-profitable and non-governmental organization which was established to look into the needs of 55 special children and adults. 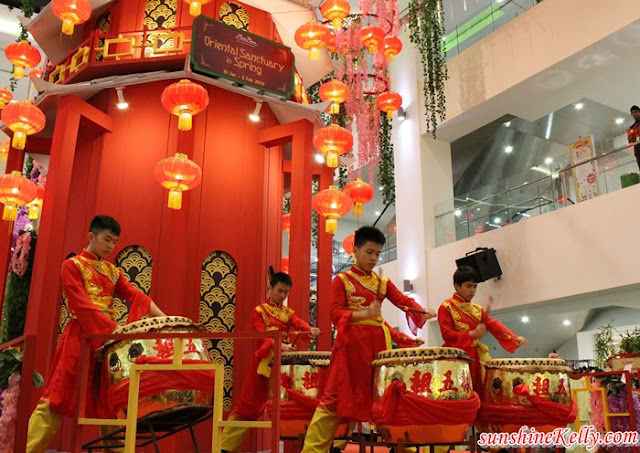 Aside from collecting public donation, Main Place Mall will be preparing hearty lunch, appearance of God of Prosperity for ang pao and mandarin oranges distribution, health checks by Caring Pharmacy as well as exciting performances and endless chatters with the management of Main Place Mall. In the spirit of sharing, Main Place Mall is offering something extraordinary with your purchases. Shoppers who spend a minimum of RM250 will be entitled to redeem Main Place Mall’s Oriental Ang Pao Set (5 pcs). Meanwhile, visitor who spend RM500 and above gets to redeem an exclusive Dining Set. Redemption is limited to 100 packets and 50 sets each day respectively with terms and conditions apply. The redemption period runs from 10 January till 3 February 2019. While stocks last.